Boruto pulls a prank and is pursued around the village by Naruto. 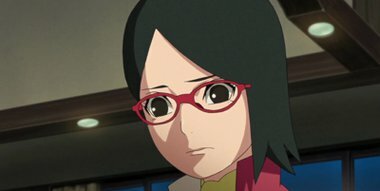 Seeing this, Sarada can't help but be exasperated, but a part of her grows wistful as she thinks of her father, Sasuke, whom she hasn't seen since she was a baby. She begins to feel doubt after she sees a photo of Sasuke with a young woman wearing glasses. Sarada becomes determined to learn the truth. Will the secret of Sarada Uchiha's birth be revealed? !